But how do know what to post every day of the week? There’s a cadence to each day. People are busy. They have lives. And so I’ve created a roadmap for you to start with. 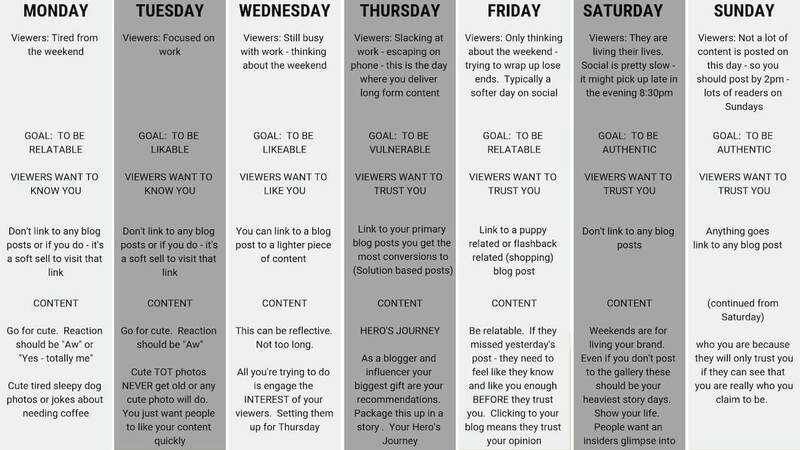 You can take this roadmap and tailor it for yourself. Time is the most precious commodity. We all start off with 24 hours a day – not a minute more or less. When we’re on Instagram asking our readers to “click through” to our link … we’re making a big ask. Reader’s typically do not want to leave the platform. That’s why everything you do should be to establish a relationship with your reader. When they know you, like you, and trust you … they will give their attention because of something they need or want from you. As bloggers we’re not the hero in any of our stories. Our readers are the Hero’s …. and we are merely their guides. If you’re a quick learner this map will jog some ideas for you. As a blogger you already know how to write. You’ve learned how to tell your readers what they are waiting to hear. You have learned how to invite them on a journey where change might happen. When you open all those doors, you are able to deliver on your promise. 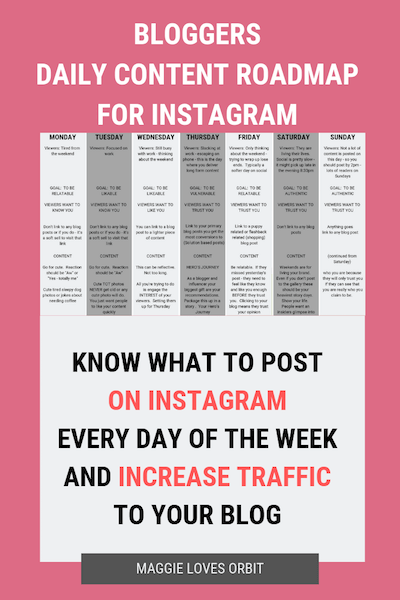 Learning how to use Instagram to drive traffic to your blog is like learning how to use search engine optimization. It’s telling stories in those little squares each day! If you need a little help in learning how to use Instagram – I offer a guide for you below.